If this astrologer were truly psychic, she would have known that she'd be on Apostrophe Catastrophes on October 23, 2014. Didn't see that coming, did you, Ms. Psychic? Thanks to Bryan for sending in this cosmic catastrophe. Sometimes a reader sends in a catastrophe so large that it's truly shocking. Thousand's? How could this have happened? As Nina, who submitted this photo, so eloquently put it, "The torment." 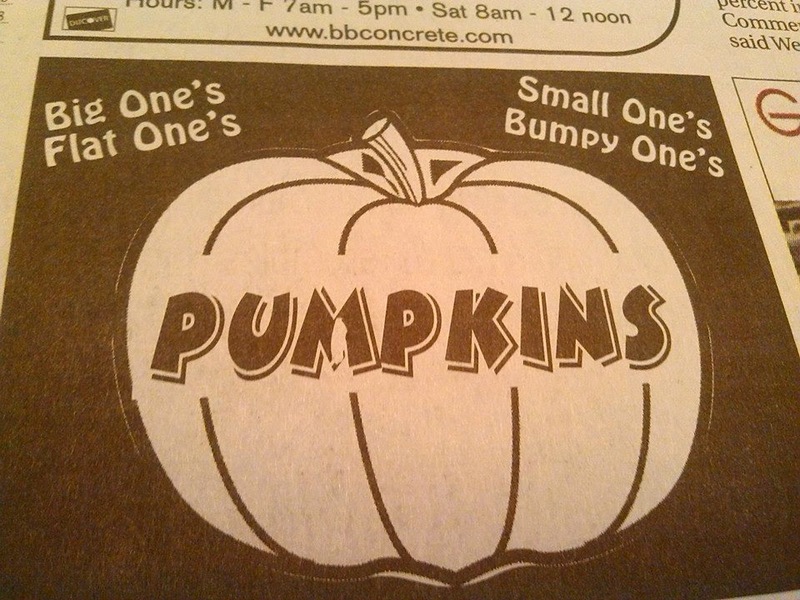 Rachel spotted this quadruple apostrophe catastrophe in her local paper in Tupelo, MS.
That's scarier than a Halloween horror movie. 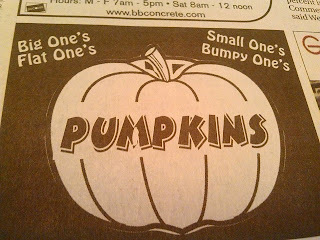 What is flat pumpkin anyway? I'm way behind on posting submissions, as usual. Kurt sent me this apostrophe catastrophe from the Colorado Convention Center almost a year ago! Thanks for your patience, dear readers. I'll try to post your submissions in a more timely manner. 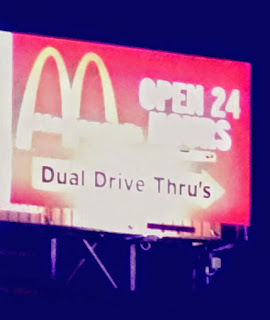 Finding apostrophe catastrophes at small, local businesses (or online) is like shooting fish in a barrel. 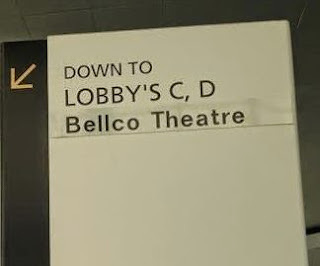 So, when I find an apostrophe catastrophe committed by a large company, especially one for which I have a bit of disdain, I get pretty excited. Walking down the street of downtown Scranton last night, I saw this giant McDonald's billboard glowing in the distance and exclaimed in delight. I started running toward the billboard and attempted to capture it despite the poor lighting. It's not perfect, but you get the idea. A few minutes later, fireworks started exploding in the sky. Literally. Now that's what I call an eventful Friday night. Readers, how do you feel about spelling "through" as "thru"? It doesn't really bother me. Maybe it should, but it seems like a decent shortcut and fits the tone of fast food establishments in general. Someday, I think we'll all be using "u" for the second person, and I won't even mind that either, as long as we give credit where credit is due.